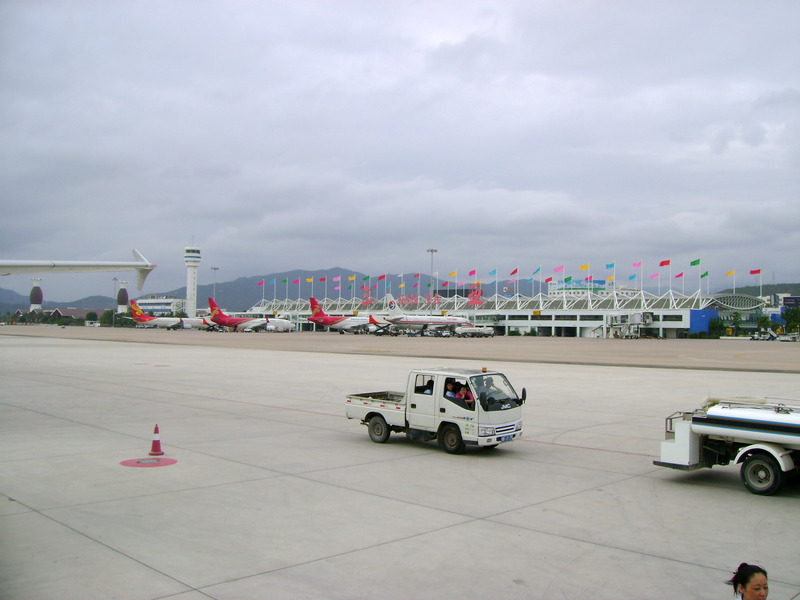 Sanya Phoenix International Airport (Chinese: 三亚凤凰国际机场) is an airport in Sanya, Hainan, People’s Republic of China (IATA: SYX, ICAO: ZJSY). In 2009, Sanya Airport handled 7,941,345 passengers and 59,811 aircraft movements, making it the 18th busiest airport in China in terms of passengers, and 24th busiest in terms of movements. Known for its small size, it plays a vital part in bringing tourists into Sanya. RSTD 180 on rwy proh.